We gratefully acknowledge that we have been able to evolve into the innovative arts organization that we are today thanks to our generous donors, sponsors, and patrons. In fact, nearly a third of our operating budget comes from people like you, who believe that opera can be a meaningful and enriching experience, and that a world with a thriving, artistically vibrant COC is a better world than one without it. Help us continue what we do best. 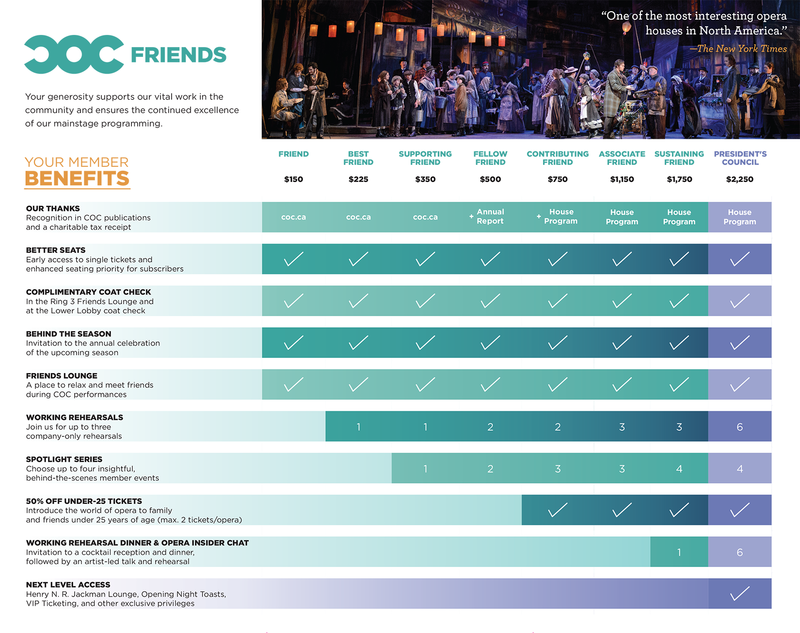 See all Friends of the COC benefits.